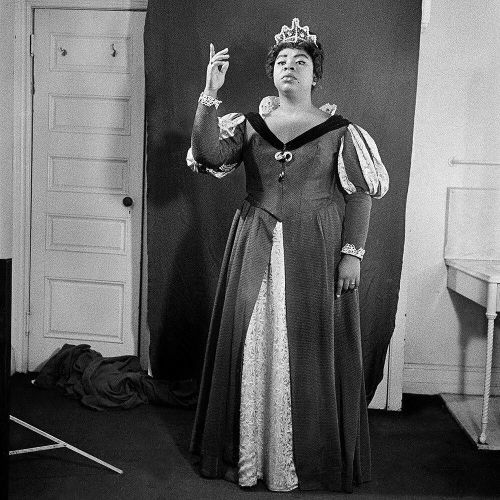 "The distinguished American soprano Martina Arroyo made her @metopera debut in 1961. Her first role was a small one, singing the offstage celestial voice in Verdi's "Don Carlo." It would take several years, but Martina's big breakthrough finally came in February of 1965, when she sang her first Aida, and soon after, landed the role of Elizabeth of Valois, the formidable heroine in "Don Carlo." The @nytimes staff photographer Sam Falk took this photo of Martina backstage in 1965, looking aptly regal and in character, yet a little amazed: a young New York artist on the brink of what became a major Met career. During #blackhistorymonth, we're sharing unpublished @nytimes photos that reveal major moments in black history. Visit the link in our profile to read more about Martina Arroyo, who just turned 79. #UnpublishedBlackHistory" By nytimes on Instagram.